The travellers' site pictured in February. A planning application for a £22.5 million revival of Sheffield’s former Ski Village is not expected to be submitted until next year - four months later than originally planned. Sheffield Council's public protecton team manager James Richards revealed the date as a County Court hearing opened with the authority seeking full possession of land around the site, which is currently occupied by new age travellers. The council claims it needs possession of the land at Parkwood Springs but the travellers, who have lived on the site for around 14 years, claim a council decision to start legal proceedings to move them off the site was ‘unlawful’. During cross examination at Sheffield County Court this morning (Monday), Mr Richards said: "My understanding is that a planning application has not been submitted yet. Emma Godfrey, representing Sheffield Council, said travellers had moved onto the site over the last few years ‘without consent’. She told Judge Graham Robinson that the council had made a decision in 2015 to ‘move forward’ with legal proceedings to seek possession of land around Pickering Road. 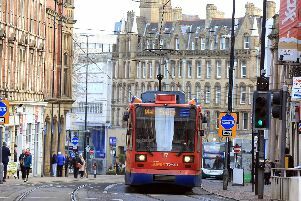 Ms Godfrey said the council claimed it needed ownership of the land to deliver ‘a scheme for the benefit of the wider population of Sheffield. Proposals include new slopes and a lift for skiing, snowboard and sledding zones, a zip line, cycle tracks, a country park and an amphitheatre. When cross examining Mr Richards, Mr Cottle said minute’s from the authority’s Place Leadership Team meting in May 2017 showed the council confirmed it wanted to move ahead with legal proceedings. Sheffield Ski Village closed in 2012 following a huge fire at the site.